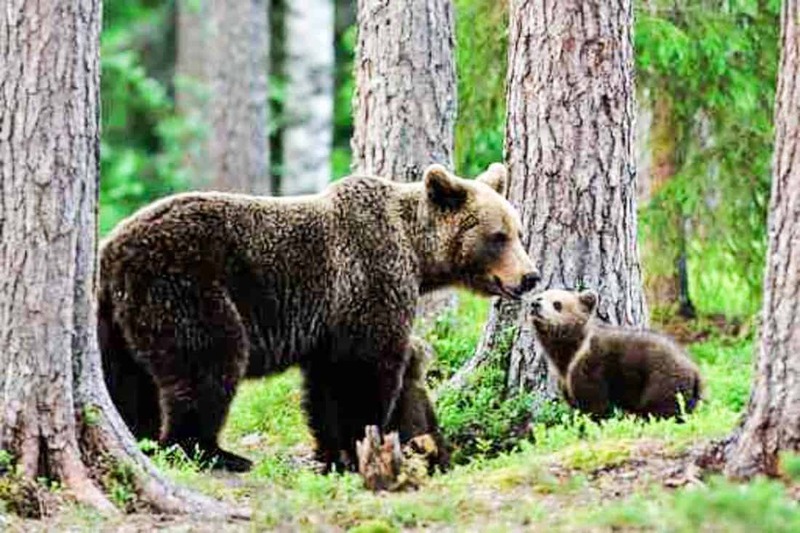 In April 2018, Romania’s Minister of the Environment published an Action Plan for Conservation of the Brown Bear in Romania, which allows the hunting of 10% of the population. Romania has the largest brown bear population in Europe – approximately 6600 bears. This action plan permits 600 bears to be killed every year in Romania. This decision has been strongly opposed by many international and Romanian organisations and scientists. Please also read: Bear-problems in Romania: who is to blame? The conflict between Romanian people and wildlife is a strongly debated issue. There is a current human-bear conflict in Romania, and it is vital to address the problems of Romanian citizens, and find solutions to the conflict. However the brown bear is more the victim and not really the cause of this rising conflict. Before deciding to sanction the hunting of 600 bears every year, the authorities did not allow an independent assessment of the bear population. The Ministry has created this very high quota, but it is not grounded in any kind of biological or ecological research. Important population data such as natality, mortality, and reproductive rates are not known for the Romanian bear population, which makes 10% a completely arbitrary number. With this approach the Romanian authorities are running the risk of putting the brown bear at risk of serious, irreversible population decline. Why is there a human-bear conflict? Illegal logging in Romania has reduced and fragmented the brown bear’s habitat, and has meant that the bear encroaches onto human territory to look for food. The bears can cause damage in the Romanian countryside, but hunting is not the answer. So far hunting bears has never reduced the conflict, and studies with other large carnivore conflicts have shown that hunting can actually increase the problem. This action plan plays into the hands of trophy hunting outfitters, who make enormous sums of money from hunting bears. A bear trophy hunt is sold for up to 15,000 euros, money which goes to public and private game managers. 600 dead bears are therefore worth €9 million. Trophy hunting is illegal in Romania, however this Action Plan tries to exploita clause in the EU Habitats Directive, which permits the state to sanction killing of animals that cause serious damage if there is ‘no satisfactory alternative’. But the government has not considered other alternatives. Instead this action plan supports economic profit, and does not support bear conservation or wildlife conflict mitigation. Brown bear management in Romania should be focused on human-bear coexistence. The authorities should focus on creating a culture of coexistence, and it should not be an option to kill vast numbers of the bear population. Government decisions should be based on solid and independently-gathered scientific data. The brown bear is a species of community interest, protected under European law, and its long-term conservation should be advocated. For more information, please read this open letter addressed to the Romanian Minister of Environment, strongly protesting the Action Plan. Below is a plan which supports all concerns for brown bear conservation in Romania.